The icebreaker Tarmo was built at the Wärtsilä shipyard in Helsinki in 1963. The Republic of Estonia bought the ship in 1993 and she has now successfully operated under the Estonian flag for 20 years, ensuring safe entry for ships to ports and to sea lanes. The full displacement of the Tarmo is 1,585 tons, its length 84 and its beam 22 metres; its maximum speed is 14 knots. 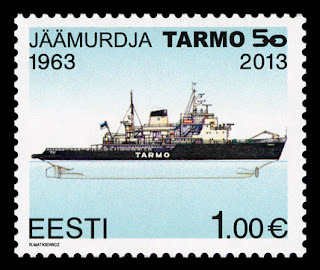 As the Tarmo will be 50 years old this year, AS Tallinn Sadam decided in 2012 to buy from the Finnish Arctia shipyard the 1998-built MSV Botnica, which has already arrived in Estonia and from now on two icebreakers, the Tarmo and the Botnica, will ensure maritime traffic in the Gulf of Finland.